Students made some research and wrote some article for a school Newspaper that was published on the School's Library Blog. -Is Technology Taking Over Your Life? Students simulate a debate in Ted Talk about the Pros and Cons of Innovations created by man and its major impacts on Humankind's quality of life. On the one hand its greatest achievements, on the other hand its biggest crisis. Is the Innovation Society Sustainable? 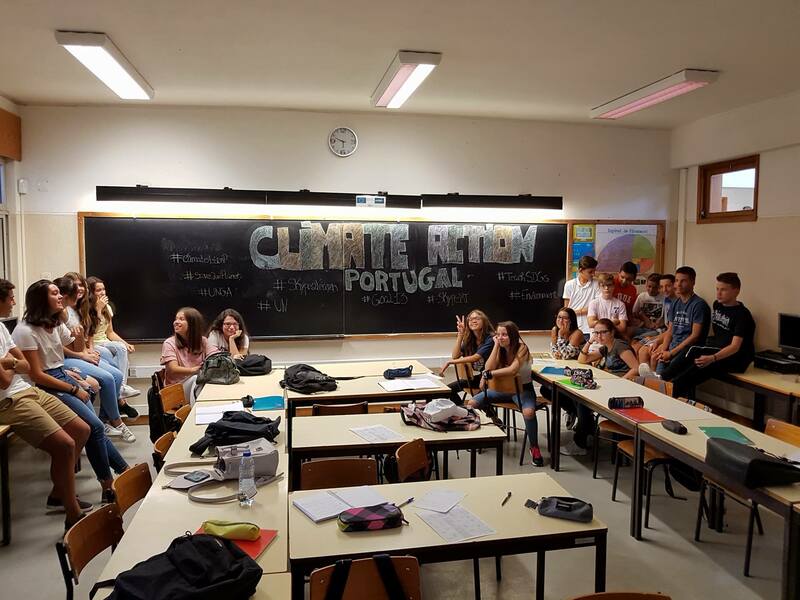 I am a Portuguese teacher, Winner of three National Quality Label on eTwinning, Classroom Mystery Skype fan. Interested in PBL and Digital Citizenship. I work at Agrupamento de Escolas Dr. Alberto Iria in Olhão a small city in the South of Portugal. I am a Teach SDGs Ambassador, Skpe Master Teacher and MIEE. We are an ASPNet School and an Eco-School. I am the current coordinator of UNESCO's Projects at my school.